On Sunday September 21 takes place the traditional Pilgrimage of San Miguel, a pilgrimage of carts pulled by oxen and tractors to the area of pine forest of the municipality where the tour concludes. 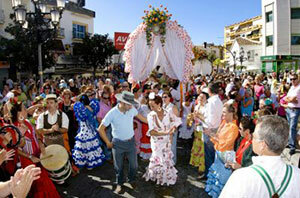 The pilgrims begin to gather at 9 am at different locations in Torremolinos and from 10 am onwards begins the pilgrimage. Once in the pine forests, each cart has a marked area and after some rest everything is ready to enjoy the party, lunch, drink, without forgetting the celebration at 5:30 pm of a Mass in honour of St. Michael the Archangel. This year 2014 Torremolinos Fair will begin on Thursday, September 25 and end on Monday, 29. 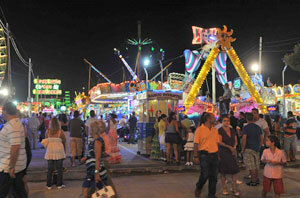 Both the Pilgrimage and the San Miguel fair are considered along with Easter the most important festivals of the municipality. 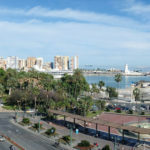 During day the party takes place in the centre of town with performances and concerts in the most important squares and during the night continues on the fairgrounds of Torremolinos. The fairgrounds has over 25 different booths, a large auditorium ready for performances by leading artists and an area further north consisting of 4 streets filled with market stalls, raffles and attractions. Also, anywhere you see stalls where they sell from hot dogs and hamburgers to Churros with chocolate. On Friday 26 at the Municipal Auditorium “Príncipe de Asturias” will be held the awards ceremony for carts and tractors of the Pilgrimage. 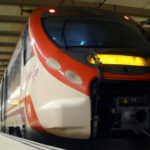 This day will focus on humour with performances of Jose Campoy, Juan Aroca and Ismael Beiro. On the other hand, in the Municipal Concert Hall you will have the opportunity to listen to several rap groups. On Saturday 27 at the Municipal Auditorium “Príncipe de Asturias” performs the singer from Malaga Diana Navarro with her pop style. In the Municipal Concert Hall the night will be enlivened with several concerts with groups such as The Lenwetones, Aguacan, Soultrade, among others.